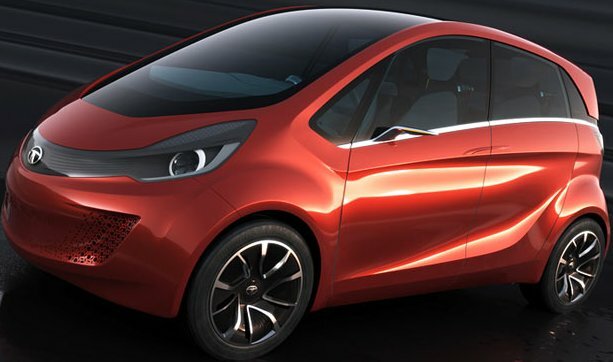 Tata Motors is trying to put a big challenge to the automobile industry all over the world in the near future with its new concept car Tata Megapixel, a city-smart global car, which was presented at the recent 82nd Geneva Motor Show. 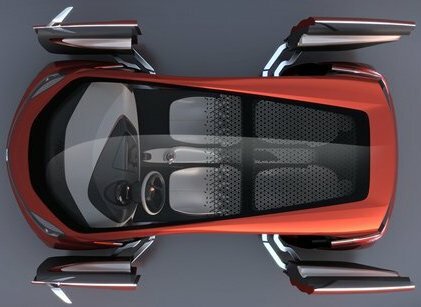 It equips New Range Extended Electric Vehicle (REEV) Concept. Tata Megapixel has a four-seater seating capacity (adults with luggage). It has double-sliding door system (as shown in figure below) and the car's B-pillar less design makes entry/exit easier. Parking is made easier with the help of electric hub motors at each wheel which drives the wheels in opposite directions, while front wheels are turned at an acute angle making a 2.8 metre turning radius. The Megapixel combines a Lithium-Ion phosphate battery and an on-board petrol engine generator for recharging the battery on the move. 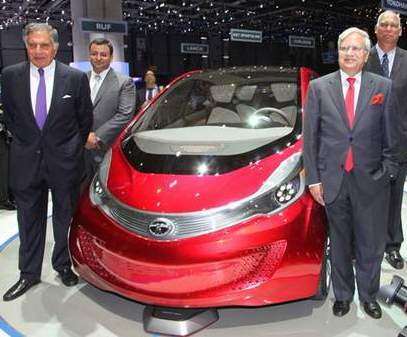 It delivers a fuel economy of 100 km / litre (under battery only power) and CO2 emission of just 22 gm / km. With a full tank Tata Megapixel offers 900 km. The car has a large touchscreen advanced human machine interface (HMI), at the centre of the instrument panel, becomes a common access point for controlling temperature, ventilation, driving modes and performance. The console docking point can connect a smart phone with the car. The car has simply to be parked over the induction pad for charging.The at-home charging system is an as innovative induction charging system. Tags:- Tata Megapixel details, Tata Megapixel features, Tata Megapixel specs, Tata Megapixel launch, Tata Megapixel mileage, Tata Megapixel india price, Tata Megapixel india details, Tata Megapixel india varients price, Tata Megapixel variants,Tata Megapixel pics, Tata Megapixel pictures, Tata Megapixel images, Tata Megapixel trim levels, Tata REEV Concept Car, Range Extended Electric Vehicle Concept.